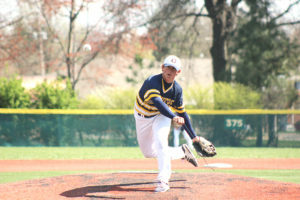 O’FALLON – It was a perfect week of baseball at Blazier Field. The O’Fallon Panthers defeated previously unbeaten Alton 5-4 and took care of Collinsville 12-2 to go 2-0 in the Southwestern Conference. On Saturday they took down Harlem 11-1 in five innings and then dispatched Chaminade 5-1. The Panthers are now 11-1 riding a nine-game winning streak, which is music to head coach Jason Portz’s ears. Despite having one of the best records in the entire metro area, Portz isn’t emphasizing it just yet. The pitching staff has carried O’Fallon for the most part so far and was splendid again last week. Hayden Juenger went 5.1 innings against Alton giving up eight hits, four runs, two of them earned. He struck out seven batters to record his first win of the season after receiving no-decisions in his first two starts. 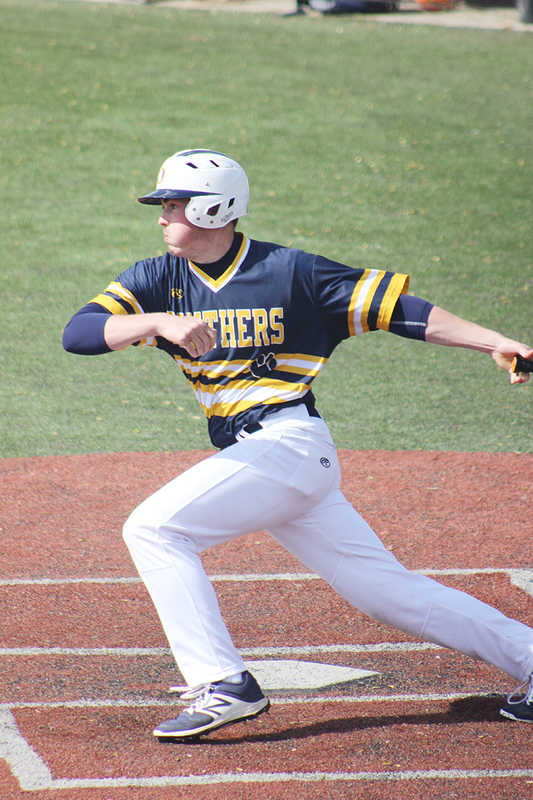 Logan Boente continued his fine early season form as he went the distance, albeit five innings against Collinsville allowing two runs and five hits. His record stands at 4-0, and his ERA is a microscopic 0.84. Brayden Arnold, a Collinsville transfer has been a welcome addition to the Panthers in 2017. The junior threw a combined five innings and two appearances and notched his third win of the season against Chaminade. He allowed one run and three hits against the Red Devils to improve his record to 3-0. The Panthers resume conference play on Tuesday at 4:30 pm against East St. Louis at home and then travel to take on Belleville East at 4:30 pm on Thursday. The following two days see O’Fallon play two non-conference games. The first matchup is Friday afternoon against Civic Memorial at Blazier Field, and the next game will be at a somewhat bigger venue. O’Fallon will meet up with the Hillsboro Hawks at Busch Stadium on Saturday at 5:00 pm.